Aftermarket Rear Shocks - AdventureTech, LLC. 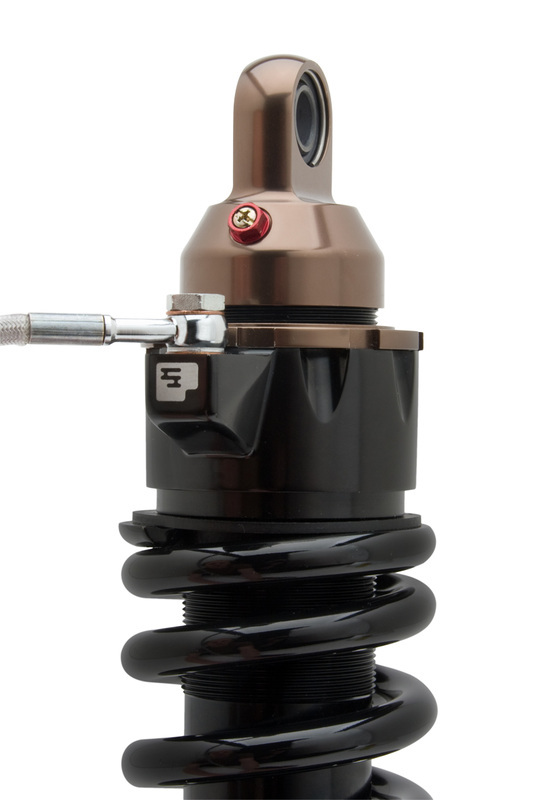 Completely new, the 465 Series represents state of the art high pressure gas monotube shock design. 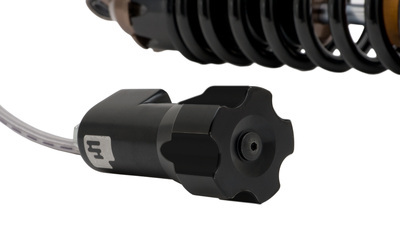 It utilizes a large 46mm bore and deflective disc piston for precise damping. The beefy 16mm hard chrome shaft rides on custom viton seals for low friction and leak free life. The 465 is custom tuned for each application and is completely optimized for each bike, from the damping and spring rate all the way down to the jounce bumper. Ships FREE within the U.S. 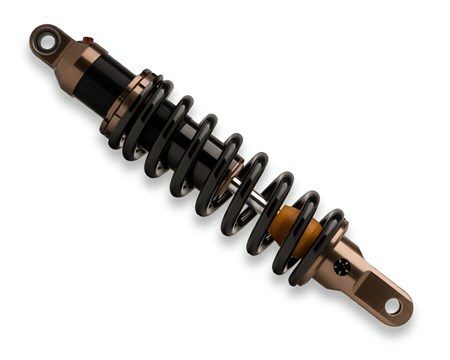 Suspension components are special order items and subject to a 15% restocking fee. Progressive Suspension has added their new R.A.P. 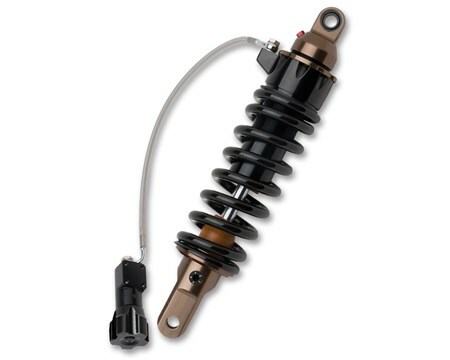 (Remote Adjustable Preload) to their 465 series line of high performance monoshocks. The 46mm bore shock is also stuffed with features like deflective disc damping, threaded body and a 5 position rebound adjuster. Setting it up to perfectly match your bike, weight and riding style is now a few clicks away. Includes remote mounting bracket.